In the ladies event, Carolina Kostner is the only one who has to fight her way in order to qualify for the final. Julia Lipnitskaia instead is pretty sure to go to Fukuoka as she won at Skate Canada with a brilliant score that should allow her to get a spot to the final even if she ranks fourth at Cup of Russia (goal more than achievable for her). The former world champion got the bronze medal at Cup of China, where she was expected to win, and therefore she needs to win in Moscow or score something close to two hundreds points overall (she would need to score higher that Radionova did at NHK Trophy). Carolina had a tough competition in China and she didn’t look as consistent as she has been in the past years, struggling on several jumps maybe due to a back injury had in September that prevented her from having a solid preparation. 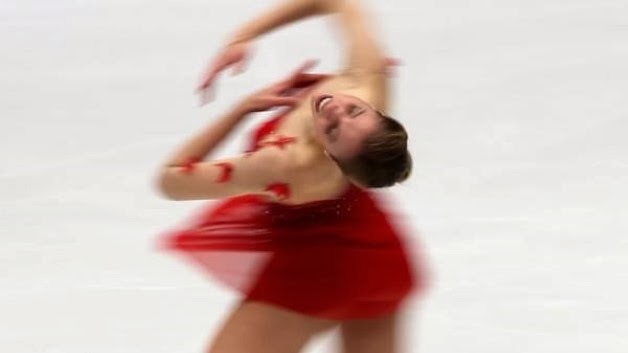 She has an edge over Lipnitskaia when it comes to the components score, but if she doesn’t compete somewhat clean, she won’t make up with the technical content of the young Russian skater. Talking about Russian skaters, Elizaveta Tuktamisheva is listed to compete at Cup of Russia too, but her participation is still in doubt due to a back injury. She wouldn’t be in the final contention anyway, so withdrawing could be a wise decision, even though she may want to have the highest exposure to competitions as possible. Kanako Murakami is looking for a better performance as well as at Cup of China she performed way below her standards. She can’t fight for the final as well but a good competition may help her in order to get an Olympic spot.